The gate to the Subak Museum. 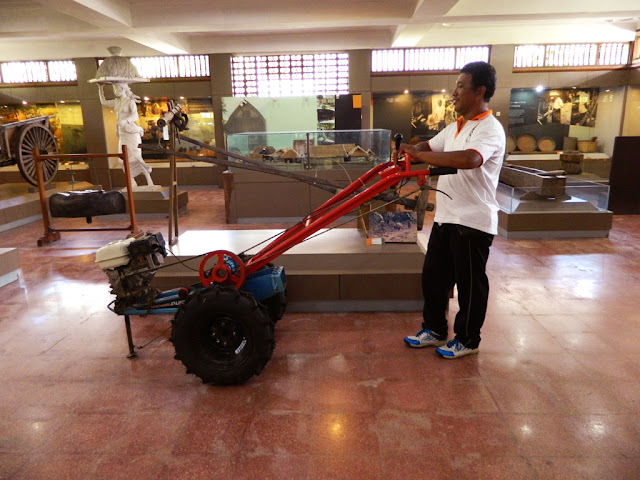 One of important location that visited during my trip to Bali was Museum Subak to learn more about the unique of rice plantation in Bali. 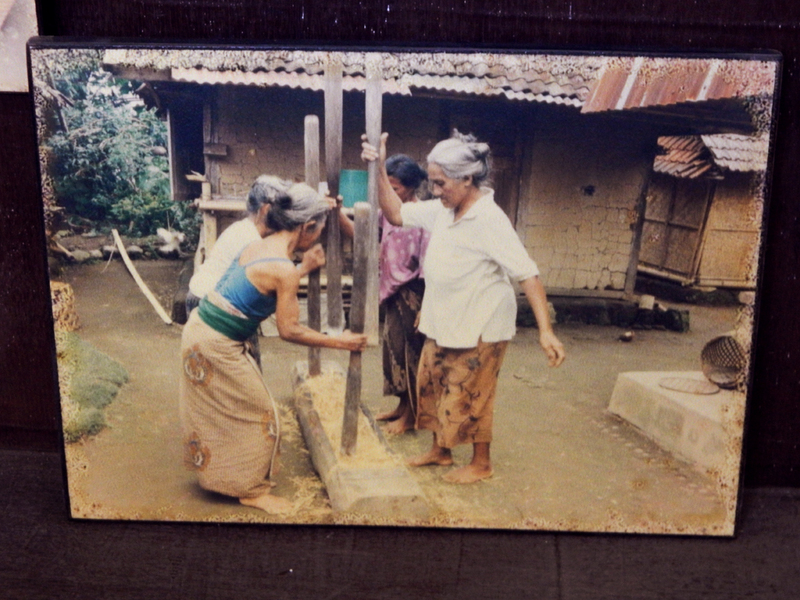 The different between here in Bali from any other location in Indonesia is the Subak organization. 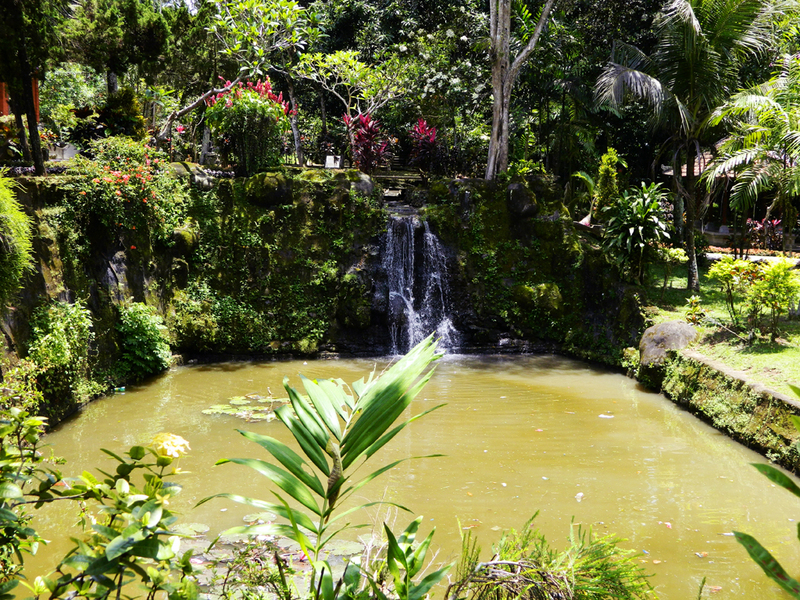 This organization playing a big role in managing the water sources in Bali came from 4 main lakes (danu) located high above the mountains. 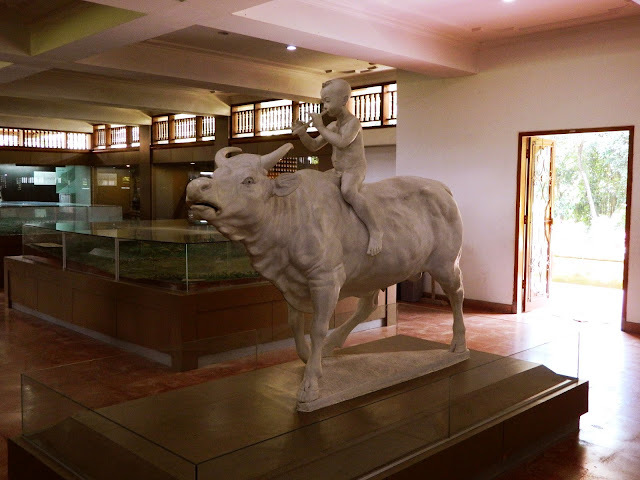 In order to educate people and younger generation on how important is the Subak, a museum was built and opened in October 1981. 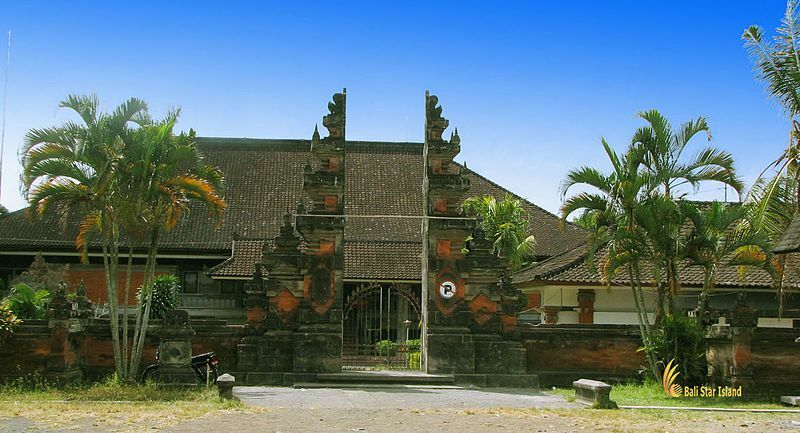 Instead of its function in organizing the irrigation system to the rice fields, Subak also has shaped on Balinese culture that make this island far different from any other islands nearby. Here in Bali the rice production is more productive in term of rice produce per hectare. Anyway since the planting areas are very small for each family, their income still considered too low to allow them to enjoy a prosper living. The water dam as in Subak, represented here in Subak Museum. Representing the canal entrance to pura (temple) in the vicinity of Bali. 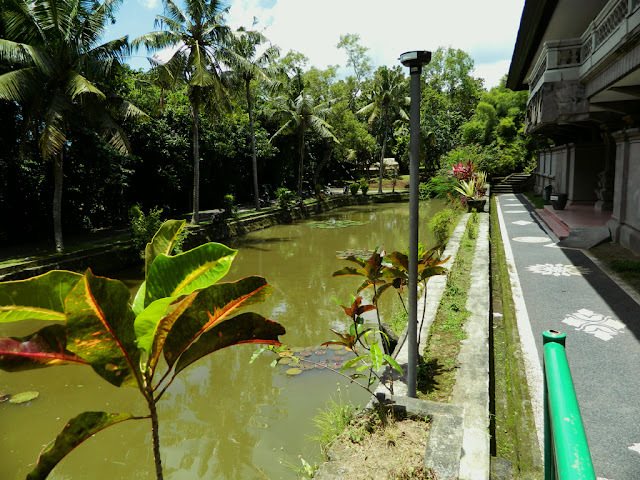 The rice plantation in Bali is organized and influenced by the unique culture on Balinese where pura (temple) will plays their big role in organizing all the activities from time of sowing, irrigation, meetings, and many other things and their centre of activities. Anyway these traits had been practice for several of hundreds years or maybe thousands of years in Bali as how their ancestors leave it for them (in their written guides). By visiting this Museum you can see many other things related to the way of life for people in Bali where their daily lives are all connected with their beliefs according to their religion and their connected to their gods. 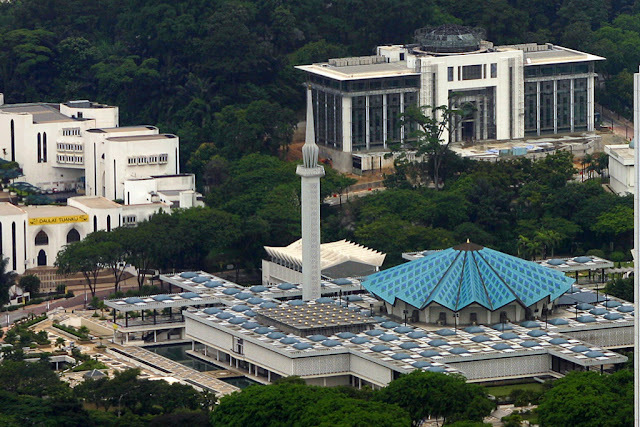 At the same time, from this believe evolve the way of life that leads to complicated irrigation system that never find in any other places in Indonesia (if not in the whole ancient world). Here at the museum you can see few important statues include the Goddess “Dewi Sri” known as the ‘Goddess of Rice’ that will ensure the rice producing is successful for the particular year and another important statue is “Rare Angon” represented by boy on his buffalo with bamboo flute on his hand. This actually said to be the incarnation of God Shiva to teach people in Bali on how to plant rice and music as an entertainment. Well, that’s really perfect combination for successful life; hard works and happiness. The exhibitions here, focusing on how the rice planting in Bali evolves through times with complicated irrigation systems that allow the rice planting in higher areas. Start from the water management system, water measurements, irrigation, time of planting (Balinese calendar), farming instruments and meetings to discuss in group on how the planting took place on each season; all of these that ensure the rice planting in Bali to be one of the most successful in the region (SE Asia). 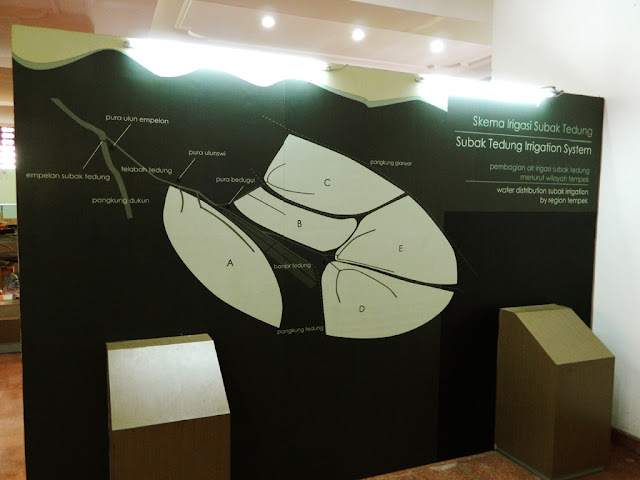 Subak organization chart by region. 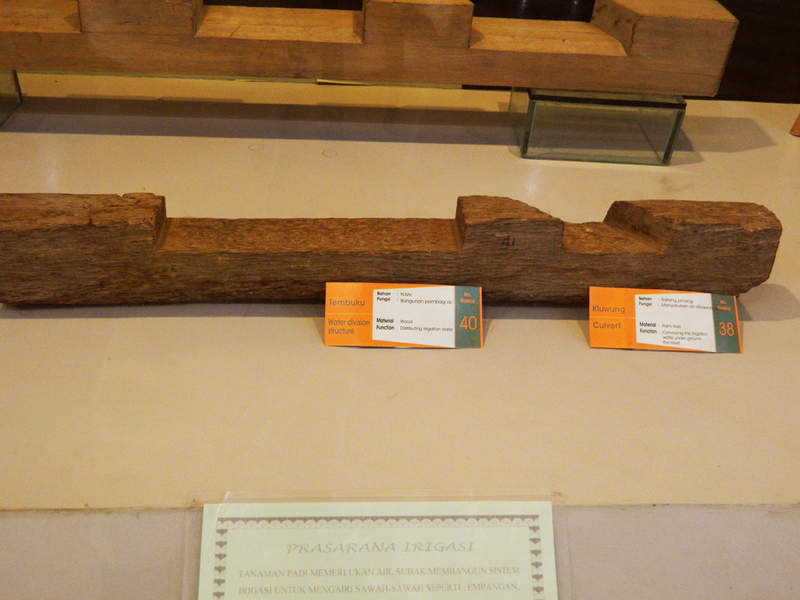 Subak management guide written on pieces of bamboo. 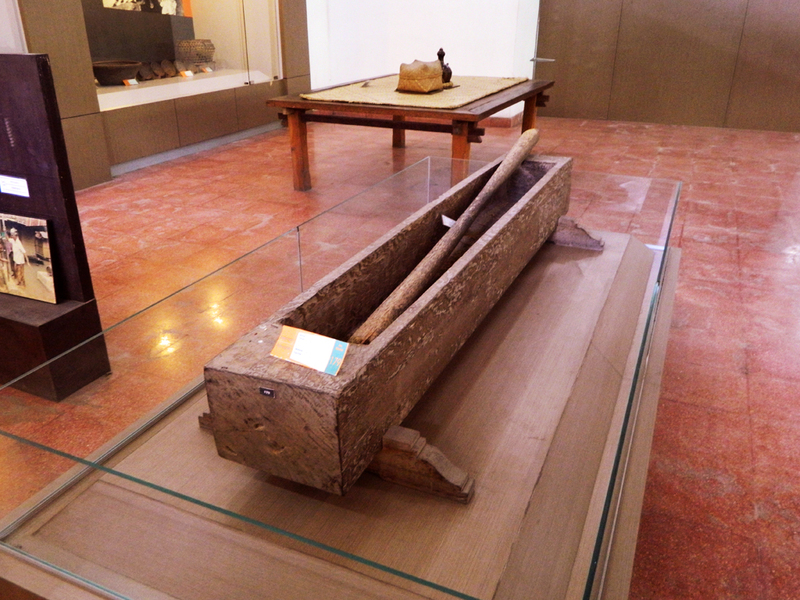 Long mortar to pound rice. Start from land clearing and preparing the land to rice fields can be done individually or in group. When it comes to water supply and irrigation, these farmers need to do it in group if they want their rice to be successful. 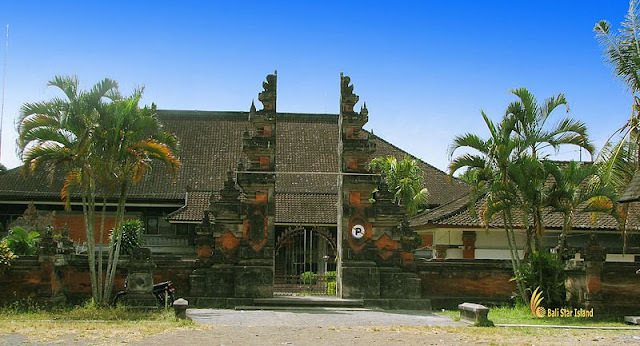 With involvement of pura (temple) and higher priest, all of the decisions are decided collectively and all the members of Subak need to attend the meeting (or they will be penalized). 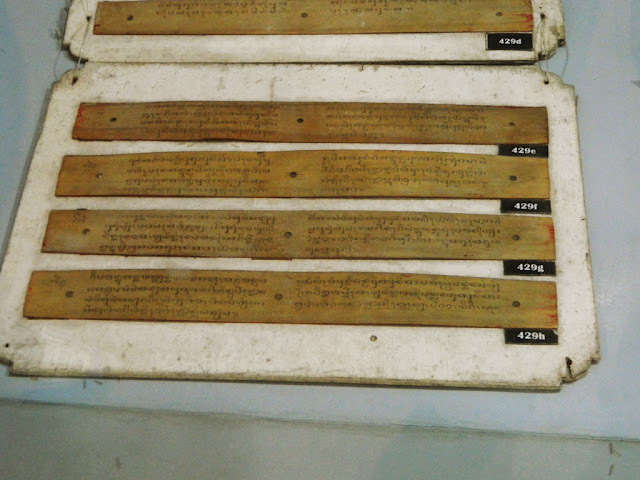 All the measuring is done with specific instruments following the guidelines provided by their ancestors. The guidelines are written on surfaces of bamboo and kept safely in a box. The water divider to farmer’s land were made by wood and measured by finger’s wide. For example with 4 fingers wide the farmer’s land should be in areas of 50 ‘ara’ or (50m2 × 50m2), while for the 2 fingers wide the farmer’s land should be in areas of 25 ‘ara’ or (25m2 × 25m2). Today’s water divider is made of concrete for durability. Many other instruments were used traditionally and some of them still in use until today, all of these reflecting how rice planting was carefully managed in traditional Bali. Water dividers to the rice field made of wood. 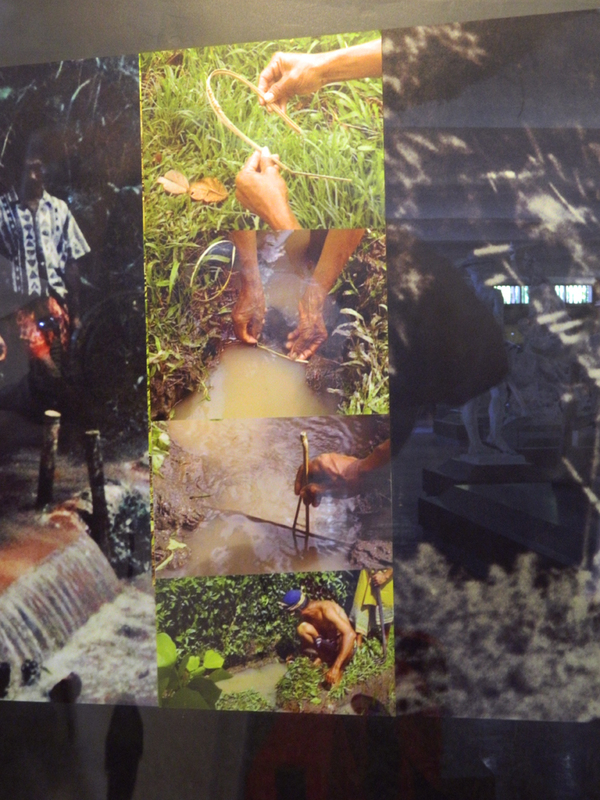 The work of measuring water into the rice fields. Among the modern machinery used in the field. Today rice planting in Bali is influence with modern machines and technologies, anyway man force still needed for the condition of the rice fields. There must be many other things can be improve in order to increase the production of Balinese farmers without interfere the system of Subak. The most important thing, farmers need to preserve the sustainability to maintain the beautiful of Bali as how they ancestors did. There are many other things to learn from unique Balinese lifestyles. 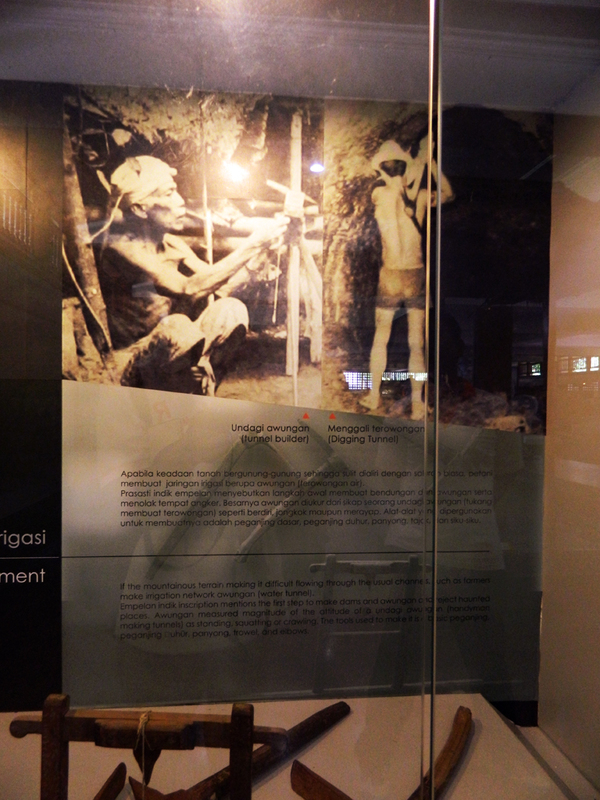 One of the most visible to visitors is the ‘canang’ or the offering. Canang is prepared everyday as offering together with pray. You can see canang almost everywhere all over Bali. 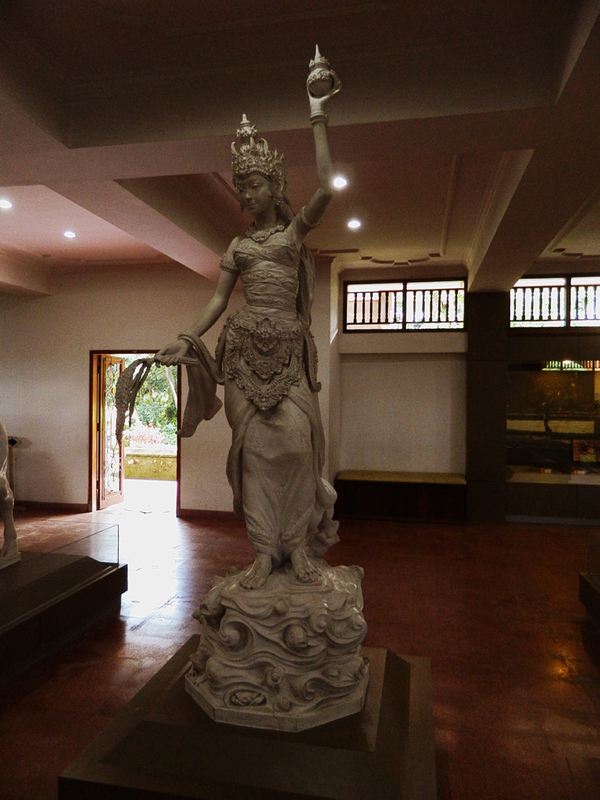 This stated how generous the Balinese can be when it comes to their belief and hope. Something that we all can learn accordance to your own belief.